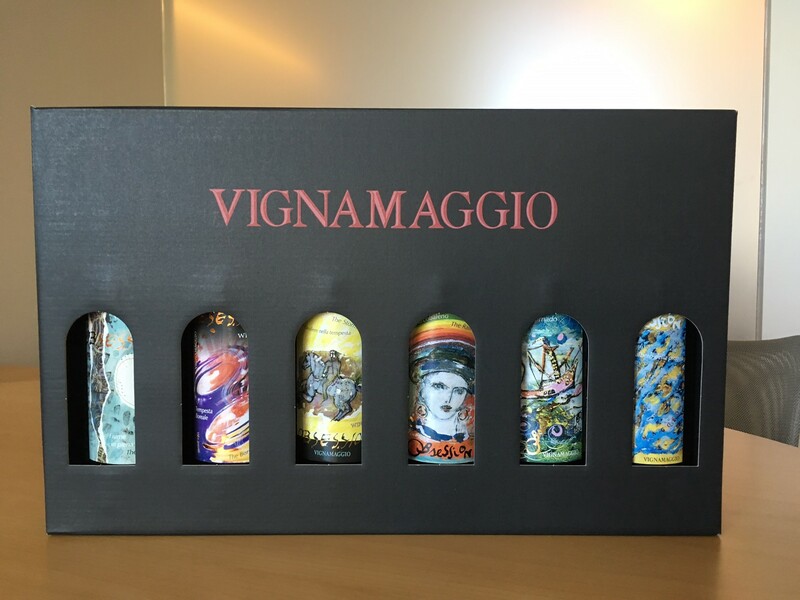 Wine Obsession stands out at Vignamaggio, not only for the eccentric packaging but for the fact that it has no Sangiovese in it. A blend of Merlot (70-80%) and Cabernet Sauvignon (20-30%), some from old vines, aged in barriques for 15-18 months. Wine Obsession bursts from the glass with tons of energy. Complex aroma with notes of fruit, spice and liquorice, which follow through into a flavor that is smooth yet intense. Enjoy with red meat and hearty dishes. 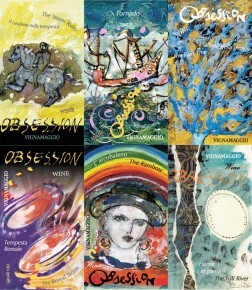 ‘Obsession’ is a name that conjures images of what our dreams are often made of. 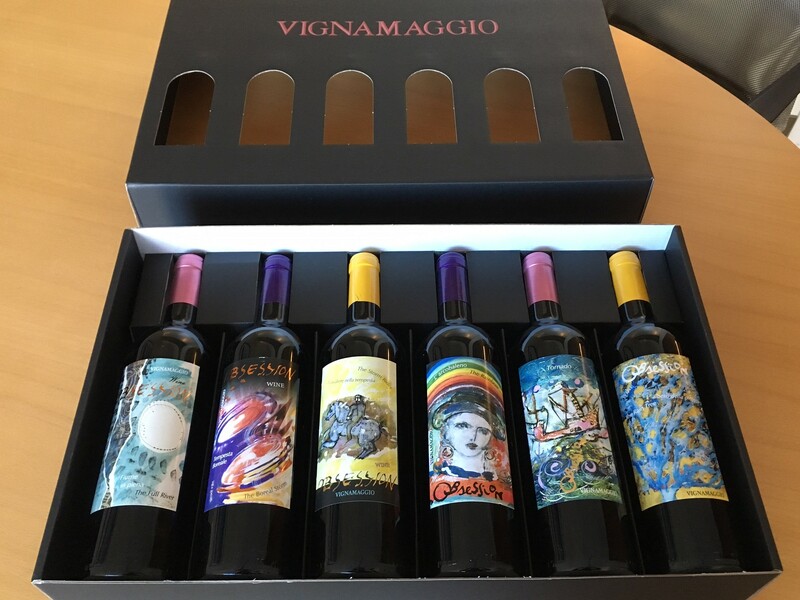 Six labels painted by six different artists all adhering to a common theme, which changes every 3 vintages. 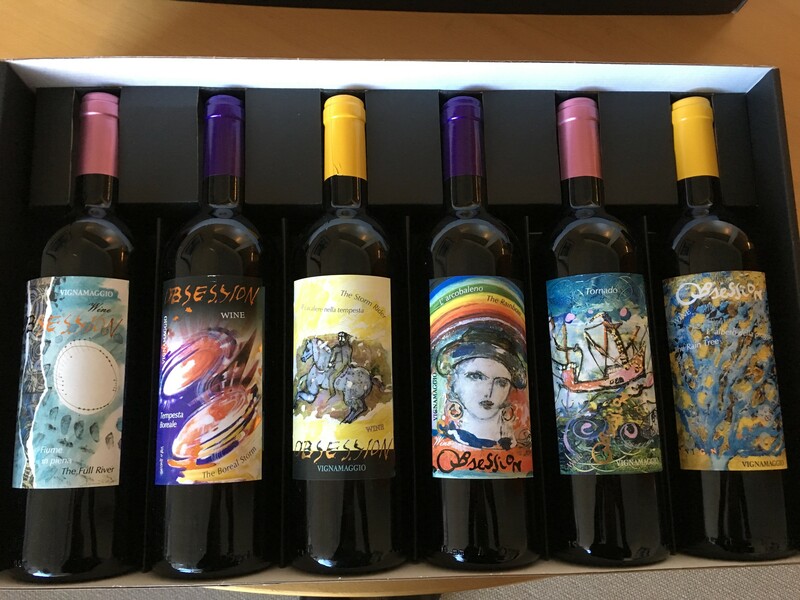 Each 6-pack of Wine Obsession contains 1 each of the different label designs, in the same vintage. Grapes are harvested by hand. Both alcoholic and malolactic fermentations are carried out in stainless steel vats. Aged for 18-20 months in 225-lt French oak barriques.